Jammu and Kashmir Liberation Front on Thursday said that booking JKLF chairman Muhammad Yasin Malik under Public safety act (PSA), and shifting him to Kot-Balwal Jail, has raised many questions. The spokesman in a statement said that international community should denounce and stop violence agains the people in Jammu and Kashmir. 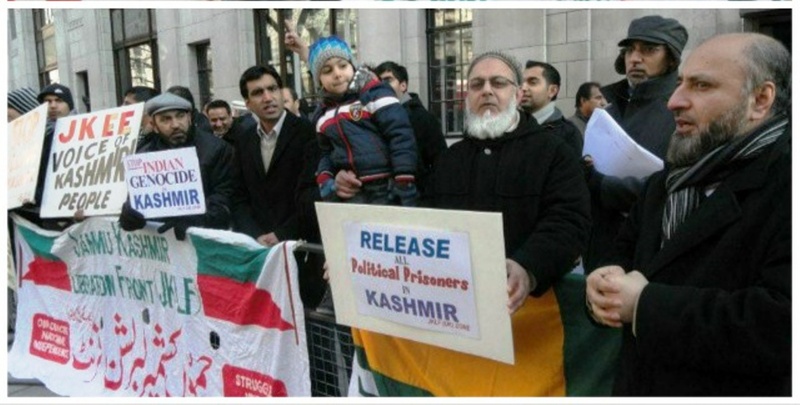 This was stated by various JKLF leaders while talking to UK foreign office, UN human rights officials at Geneva, and protesters outside Indian high commission in London. Earlier JKLF diplomatic head Professor Zaffar Khan led delegation held a meeting with United Kingdom Foreign office in London, another delegation led by zonal president held a meeting with United Nations Human rights (UNHR) officials in Geneva. Condemning the alleged custodial killing of a school teacher Rizwan Asad Pandith, JKLF leaders said that International community should denounce and stop violence against peaceful democratic activities in Kashmir valley.